As part of the widespread reforms adopted by its Congress at the end of 2016, the IAAF has added minimum gender targets into its constitution to establish parity at all levels in the sport’s governance. Six women currently sit on the IAAF Council with that number set to increase to seven at this year’s elections in September, and to 10 in 2023, before reaching parity with male Council members in 2027. Following the election of the first female vice-president at this year’s IAAF Congress in Qatar's capital Doha, two of the four vice-president positions will be filled by women in 2027. The IAAF Council established a Gender Leadership Taskforce in 2017 to work alongside the IAAF Women’s Committee. This was with the view to developing and organising global and regionally specific programmes to ensure a robust pipeline of eligible female candidates is available for this year’s elections and beyond. Over the past 12 months, women's leadership and administration seminars and symposiums have been held in five of the IAAF's six areas. 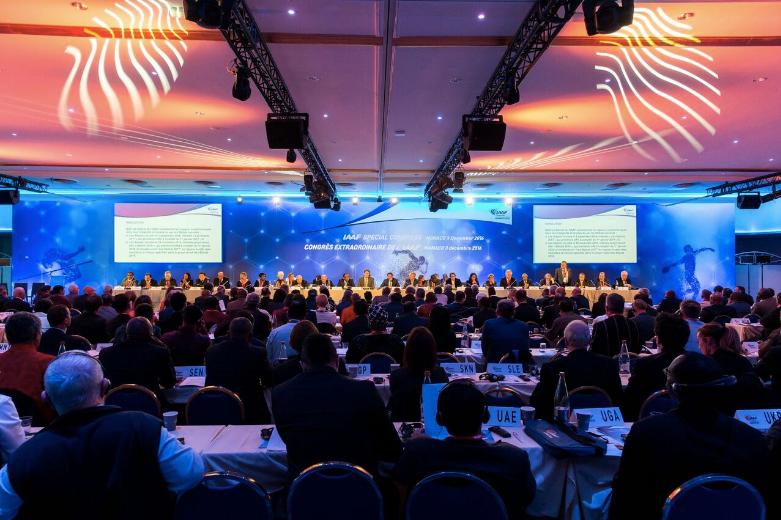 Confederation of African Athletics seminars have been hosted by Cairo, Dakar and Nairobi, while there has also been a European Athletics seminar in Brussels, an Oceania Athletics Association seminar in Auckland, a South American Athletics Confederation symposium in Caracas, and a North American, Central American and Caribbean Athletics Association event in Santo Domingo. Jakarta is due to stage an Asian Athletics Association seminar later this year. The announcement coincides with the celebration of International Women’s Day, which is a focal point in the movement for women's rights. 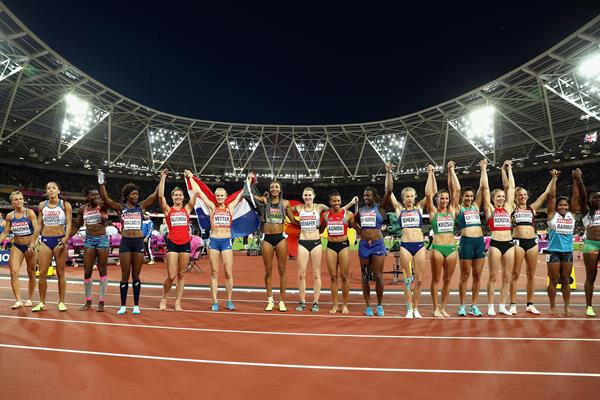 "On International Women’s Day, I’m absolutely delighted to reinforce our commitment to gender balance in the governance structures of our sport," IAAF President Sebastian Coe said. "I formed our Gender Leadership Taskforce because I want to encourage more women into our sport and to provide the pathway and programmes to allow them to do that. "We have equal opportunities for women in competition, and we are committed to having equal opportunities for women in all our governance structures. "I have always believed that any organisation is stronger and more effective when women are properly represented at every level." Stephanie Hightower, chair of the Gender Leadership Taskforce, added: "Setting targets is important but evidence shows that targets must be supported by education and development programmes that bring more women in to all areas of the sport - from technical and medical officials to coaches and sport administrators. "This needs a regional focus as the barriers to entry for women are as different as the countries they come from." On the field, athletics is one of the few sports where men and women compete at the same time in the same arena. At major championships, the sport has an equal number of disciplines for men and women and offers the same prize money. Off the field, women are increasingly taking on leadership and administrative roles. At the IAAF headquarters, 51 per cent of the staff are women and 40 per cent of those are in managerial positions. To commemorate Women's History Month, the IAAF's social media channels will use the next three weeks to celebrate the achievements of both pioneers and contemporaries in women's athletics. In 2019, there will be two full voting members of the IAAF Council from the Athletes’ Commission, one of which will be a woman. Following elections last week, the two members on the IAAF Council in 2019 will be Athletes’ Commission chair Iñaki Gomez of Canada and deputy chair Valerie Adams of New Zealand. "We have parity in pay, parity in play but not parity in positions," Coe said. "Being able to reflect off the field of play what is widely heralded as one of the most diverse and culturally attuned sports on the field of play is critical to remaining relevant to all fans, but affirmative action is the only way we will shift the dial."